Even those who are new to the digital marketing game know that video marketing is on the rise. With today’s technology, it’s easier than ever for marketers to create and distribute branded videos. In addition, internet users are viewing and sharing videos at breakneck speed. As of June 2017, views of branded video content have increased 258% on Facebook and 99% on YouTube, according to a Tubular Insights report. Pair that with the fact that email marketing is strong as ever, and it seems obvious that brands and marketers have a huge opportunity with video in email marketing. Here are our top six tips for integrating video smartly and seamlessly with your email campaigns. The video content you share in your email should be appropriate for that person’s position in your sales funnel. Top-funnel viewers are mostly concerned about what’s in it for them — so make it clear early in your video how your offering is going to help them in some way. You have a bit more leeway with middle- and bottom-funnel viewers, but you should still strive to make your video more about them than about you. Great examples of bottom-funnel marketing videos include customer testimonials, case studies, and product demos. And while we’re on the topic of content, duration is another important consideration. For top-funnel prospects, the shorter your video is, the better. According to Wistia, 59% of viewers will watch a video through the end if it’s less than one minute, but keep it under 30 seconds if you can. If you’re targeting prospects who are farther down the funnel, you can afford to do a video that’s one minute or longer. If your subject matter merits a longer video, ask yourself if you can break it up into a series and only promote the first video of the series in your email. Though your email marketing platform may allow you to embed video in your marketing emails, many of the major email clients (Gmail, Outlook, and Yahoo included) don’t support video playback within emails. In addition, even a short video tends to come with a massive file size, which can slow the load speed when a prospect opens your email. Until major email clients fully support video, it may be best to avoid embedding video directly within your marketing emails. 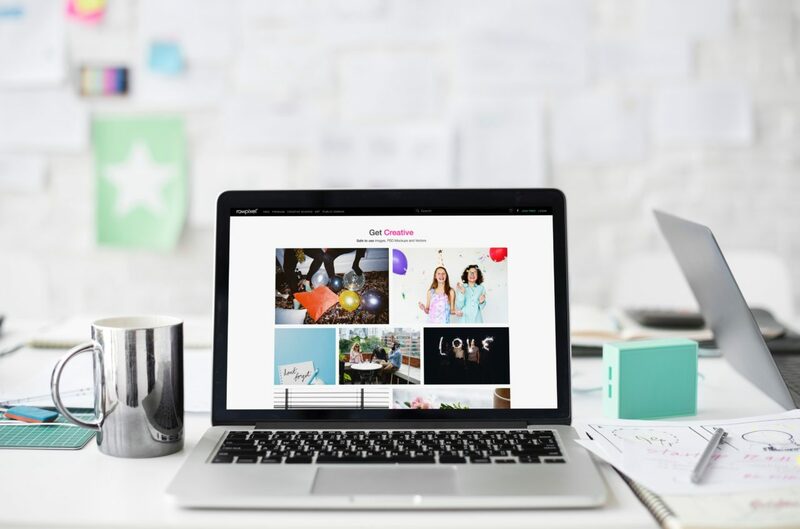 But there’s a good workaround for this that helps with both click-through rate and conversions: Use a thumbnail image to prompt your prospects to view your video. You can do this by either grabbing a screenshot of your video player. Use the image as a link to the actual video, whether it’s on your website, Vimeo, or YouTube. According to Kissmetrics, spam filters may actually see your email as spam if it only contains an image or a video. To avoid landing in your recipients’ spam folders, write some stellar copy to accompany your video. 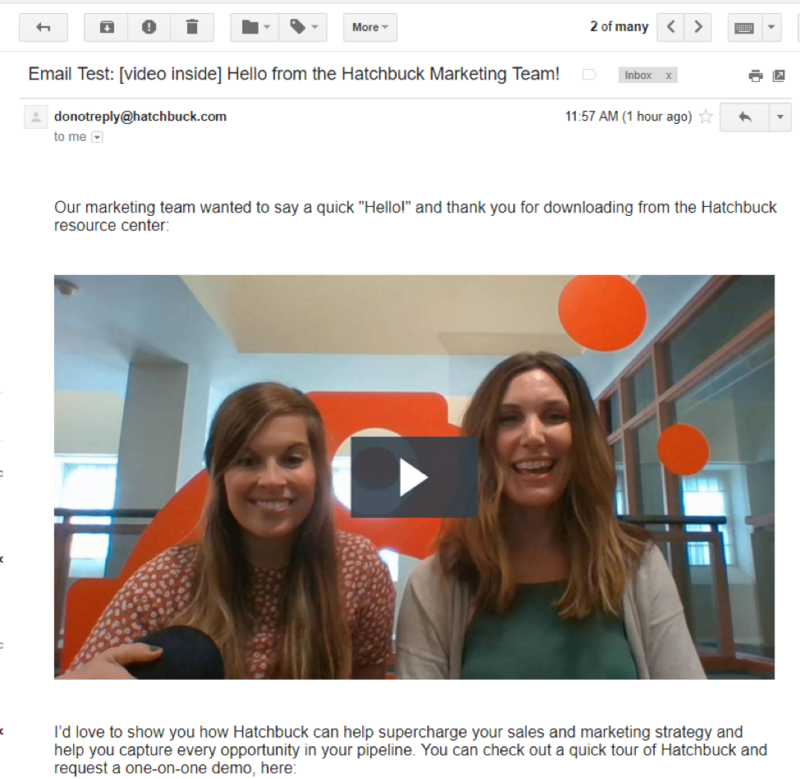 Sometimes, including the word “video” in your subject line can give your open rate a boost. For your body text, get right to the point in describing the purpose of the video you included. Use active, conversational language, and nix the all-caps or multiple exclamation points (two surefire signs your copywriting needs improvement). It’s easy to get caught up in the excitement of including videos in your email marketing — but don’t forget to place your call to action in a prominent place. Ideally, your CTA should live in both your video content and the text portion of your email, in case a reader doesn’t open the video (or doesn’t read the text). Your CTA could be a contact form, social media links, a free download, or something else entirely — but like your video, it should be both concise and customized for your target audience. You don’t need video files to harness the power of video marketing; animated GIFs can work just as well as full-on videos. If you’re including any essential information in your GIF, it should appear in the first frame, as some email clients won’t automatically play animated GIFs (but will show the first frame as a still image). Autoplay is becoming ubiquitous, both in social newsfeeds and across media platforms like CNN and Netflix. However, users still express annoyance over autoplayed videos that interrupt the content they want to consume, meaning you should be careful when you’re using autoplay. Now, if you’re not embedding video directly in your emails, when would this advice about autoplay apply? It applies if you’re driving traffic from your email to a landing page. But here’s the key: if a user clicks your video image (meaning they’re interested in watching your video), it’s a smart move to send them to a landing page where autoplay is turned on. This saves them the requirement of having to click a second time, and you’re not at risk of turning them off because they willingly selected to view the video anyways. As video continues to rise to the top of the list of popular digital marketing tactics, we’ll undoubtedly start seeing more of it in email marketing. Create great video and email content, employ these six tips, and you’re sure to stay ahead of your competitors.